"How often should I change my Wiper Blades?” , Change your Wiper Blades every 6 months, if you are in severe weather, extreme heat and exposer to the UV rays of the sun causes the Wiper Blades to become brittle and crack. In winter time, extreme cold means ice, if you don't scrape ice completely the ice takes out chunks of the rubber. If you can't move the Wiper Blade, don't turn on your wipers, as you can end up breaking components in the Wiper system. Want to try and get more life out of your Wiper Blades? These are things that need to be done all the time to make any difference. 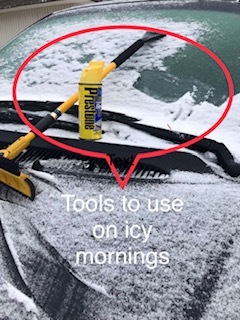 If using a de-icer, make sure there is a lot of ice on the windshield, otherwise the de-icer won't work. Parking in the shade or under cover, it is best if you have a garage park there. Having a dirty windshield takes its toll: dirt, gravel and other materials will add wear and tear to your blades. It isn’t wise to use the wipers as ice scrapers, as again the ice will tear at the rubber.